This was the first advice we received when visiting Brandi Sanger and Scott Fuller’s Park Hill home. 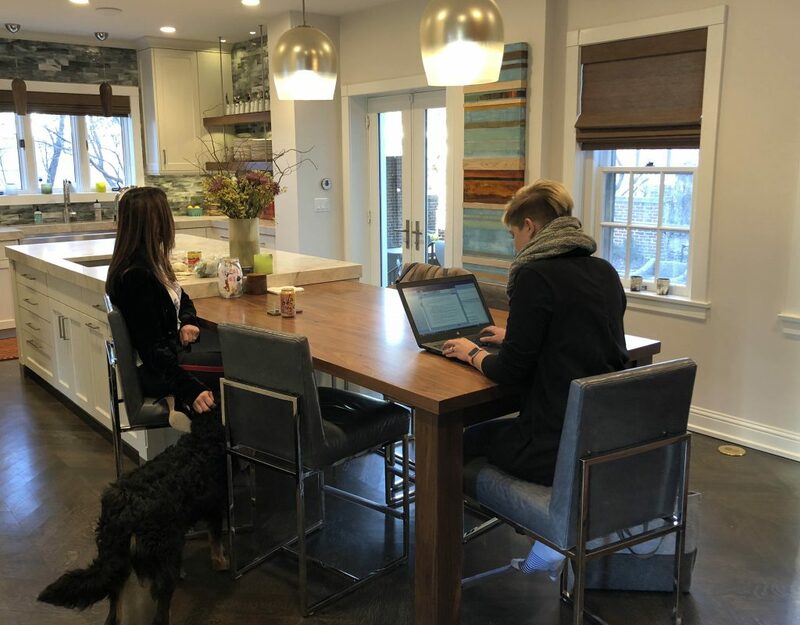 The hundred-year-old home recently underwent a major renovation with Branch Architecture Studio and EKD was chosen to take on the kitchen space. Upon entering the home, a delightful combination of contemporary and traditional styles is immediately felt. The contemporary updates accommodate life in the 21st century while the preserved traditional elements honor the house’s history – and the kitchen certainly follows suit. A surprisingly refreshing layout gives the kitchen easy access to the outdoors, living rooms and dining room. 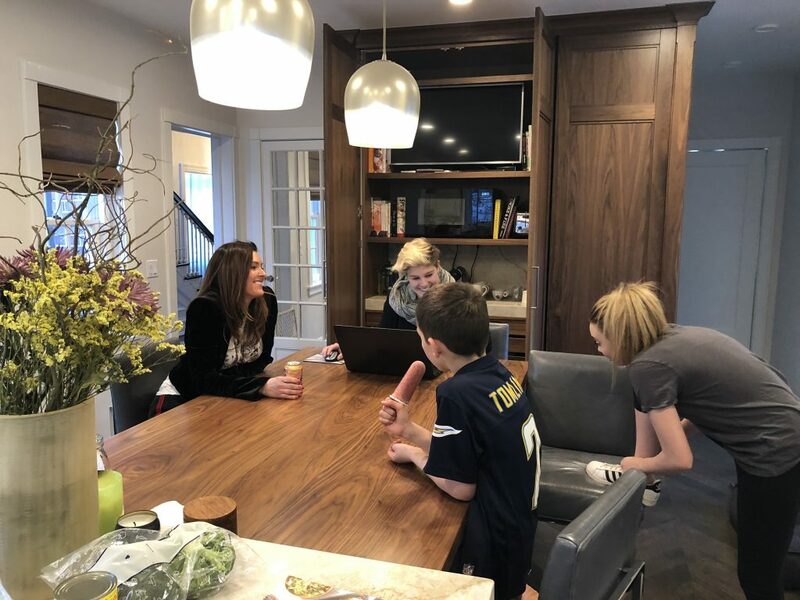 The kitchen includes of a large island with a quartzite counter for food prep and science experiments plus a lowered walnut tabletop for family dinners, arts and crafts. This large island accommodates all of the cooks and bakers in the family. 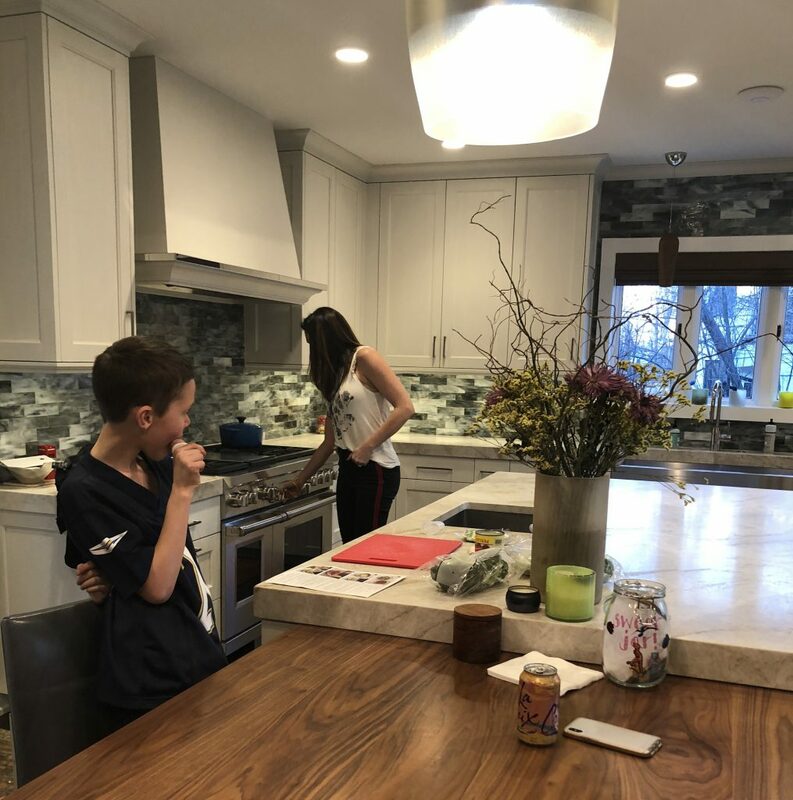 Brandi’s soon-to-be-husband Scott is the griller, her nine-year-old son is learning how to cook with her, while her 13-year-old daughter is getting into the baking scene. “We can get four people cooking and prepping around the island… sometimes there will be five or six of us baking all at once,” Brandi explains. But the island isn’t the only showstopper in this space. 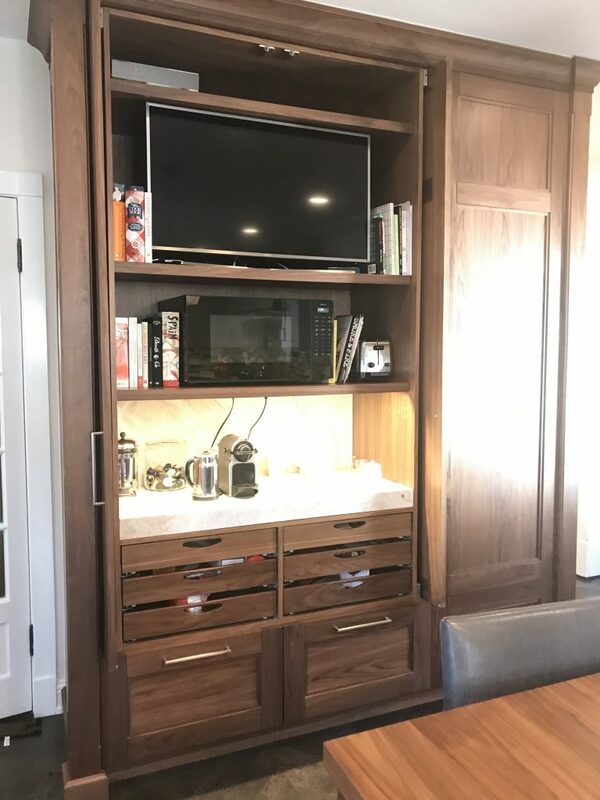 The walnut pantry houses the TV, microwave, toaster and the truly essential coffee bar. 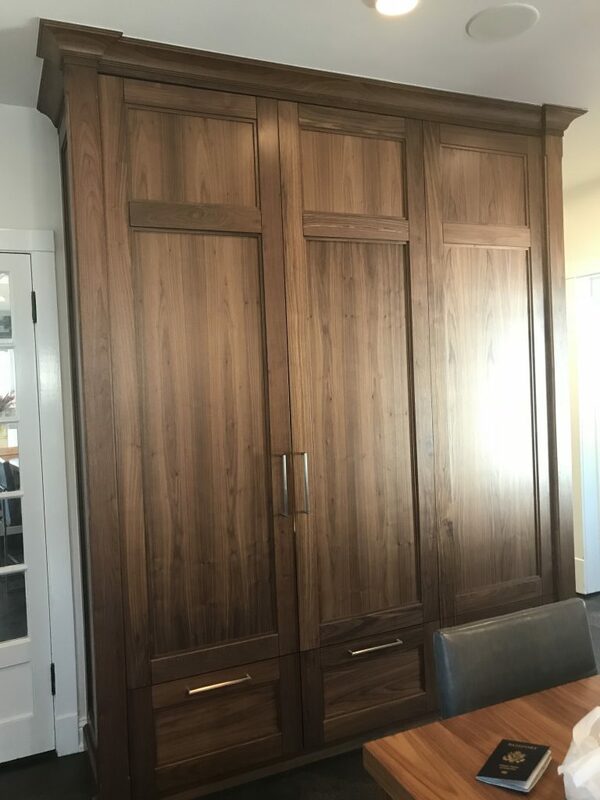 In addition to the smaller kitchen appliances, cubbies were built below to store art supplies of all varieties as well as ‘works in progress.’ The pocket doors on either side of the pantry ensure traffic isn’t blocked when the pantry is being used. The ice maker, hot water dispenser and trash storage also received honorable mentions for the ‘Things We Couldn’t Live Without’ category. 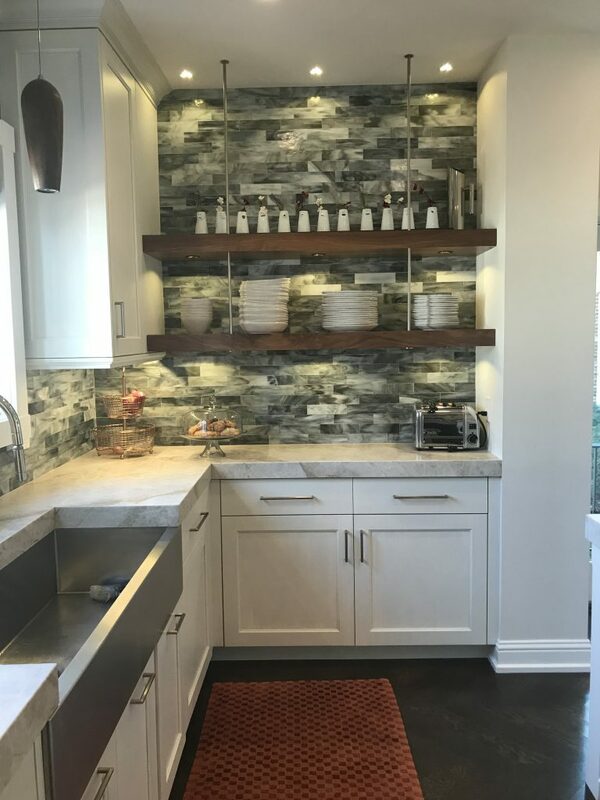 The open shelving is another element Brandi loves for their everyday dishes. There is no hassle with grubby hands getting in and out of the cabinetry and it makes for a lovely display of the tiny vases her son loves. “We’re always in here. For hours upon hours. We always wonder why we don’t go into the living room, but it’s just so comfortable to be in here and hang out. We can all sit around the table,” Brandi confirms with her daughter. From playing card games around the island to playing guitar – everything happens in the kitchen. 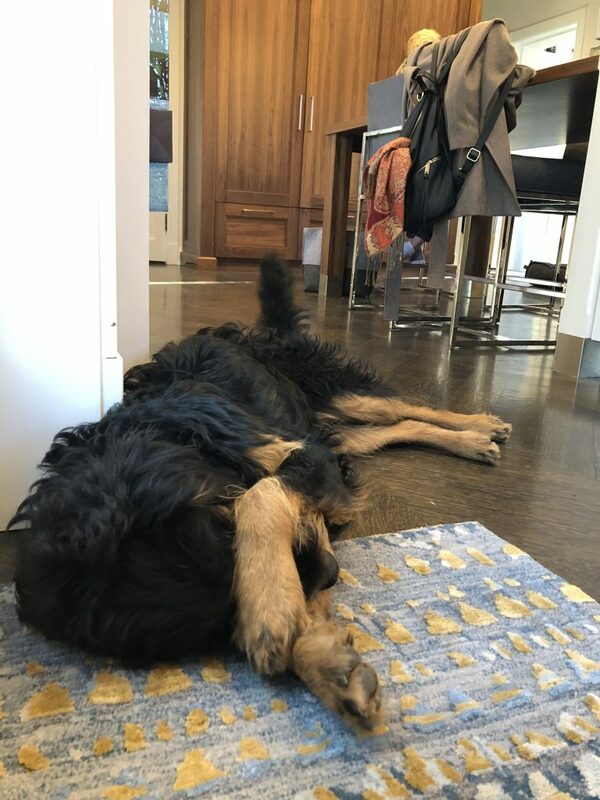 Even their pup Chewy has a special spot he just loves. 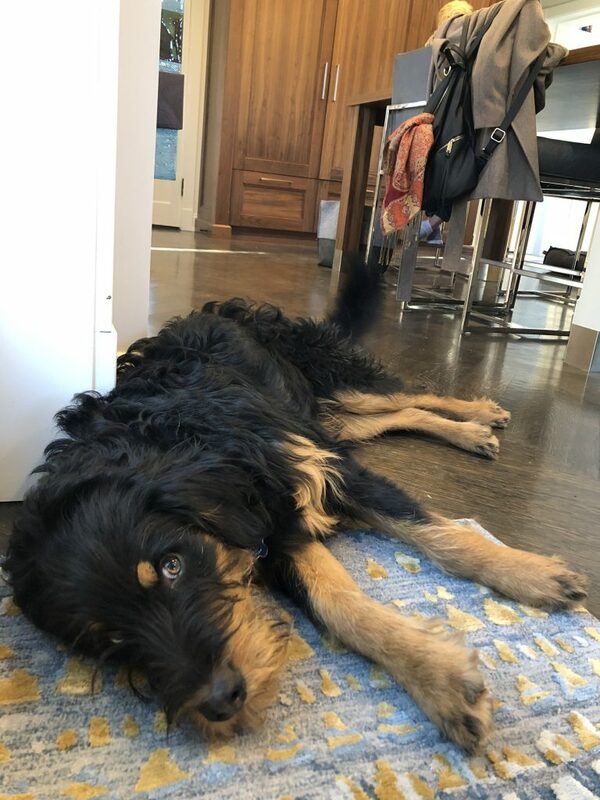 “We have a nook for Chewy, he just likes to lay in the walkway more… who knows,” says Brandi of their Bernese/Poodle puppy as he’s sprawled across the floor. From day-to-day uses to summer dinners that spill outside into the courtyard, life happens in this kitchen. The microwave beeps while someone grabs a popsicle out of the freezer. A ‘swear jar’ sits on the tabletop while ingredients for dinner are being assembled across from the range. #Everythinghappensinthekitchen. Family time, science experiment time, art time – all the time. 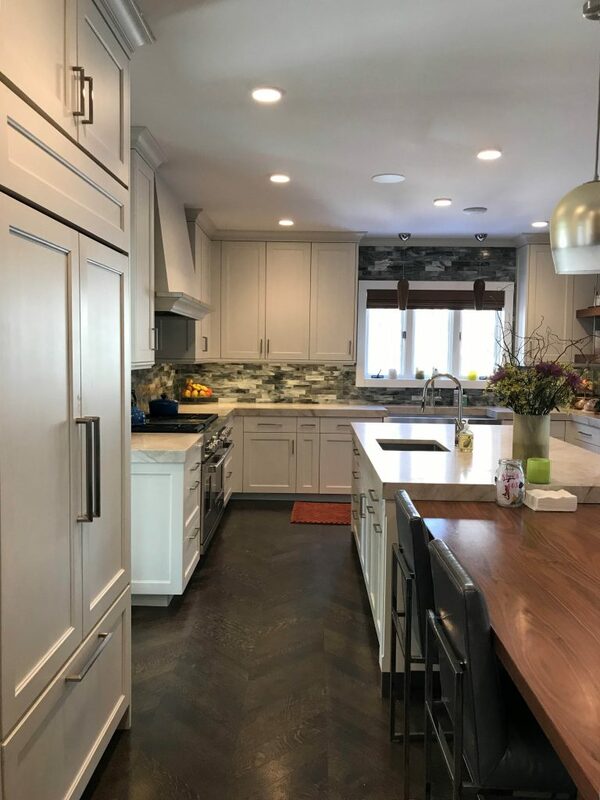 We’d like to give a gigantic thank you to the Sanger-Fuller family for allowing us this special glimpse into their kitchen and home to see exactly why they love their kitchen. Cheers!